Succulents are as Southern California as surfing and palm trees. They’re planted in yards, sold at boutiques, and often the decor of choice in cafes and restaurants. 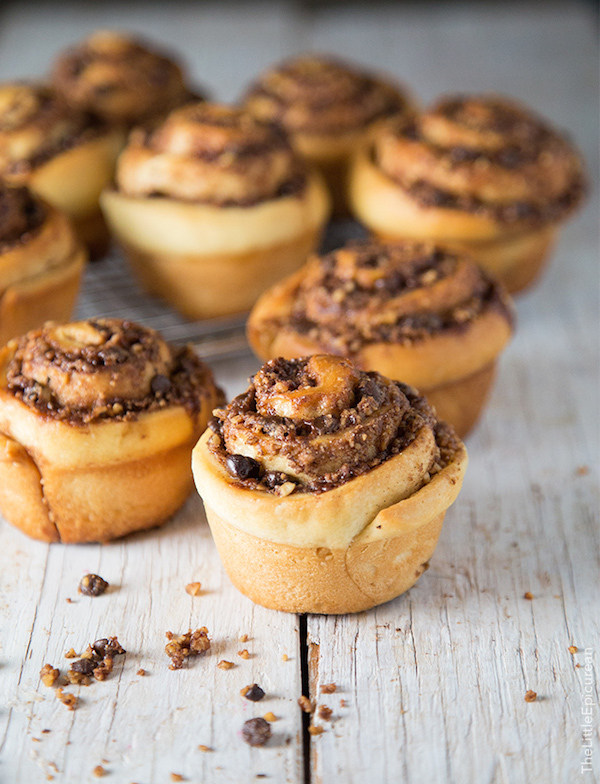 They’re cute, they’re low-maintenance, and they come in all sorts of kooky shapes. I was sold. That said, constantly buying new succulents becomes a costly affair. 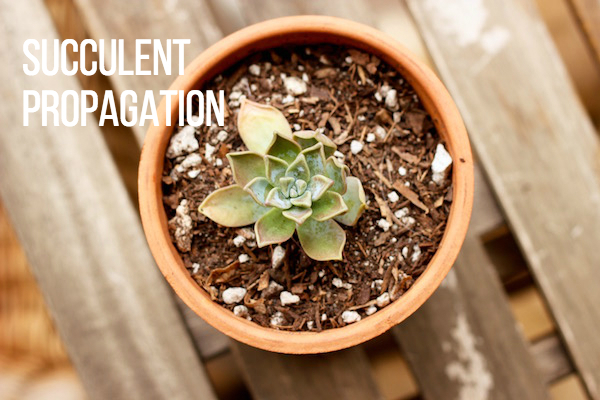 Enter: succulent propgation, the process of using succulent leaves to breed new succulent plants. I used this very handy, very visual guide from fellow SoCal bloggers, Needles + Leaves, to get started on my succulent that was beginning to take on a life of its own. If you’re looking to try this yourself, I highly recommend the Needles + Leaves guide, since they took better notes than I did. Ha! But for now, I recently transferred some baby succulents into the new pots, so I thought it would be a good time to share my progress. My number one tip? Let the mother/host leaf die before yanking it off. There were a few times that I pulled off the precious roots in the process. Once I moved to San Diego and began caring about building a home, one fact I just couldn’t wrap my head around was why coasters are so dang expensive. Square pieces of fabric, cork, wood or stone costing as much as a pair of shoes? 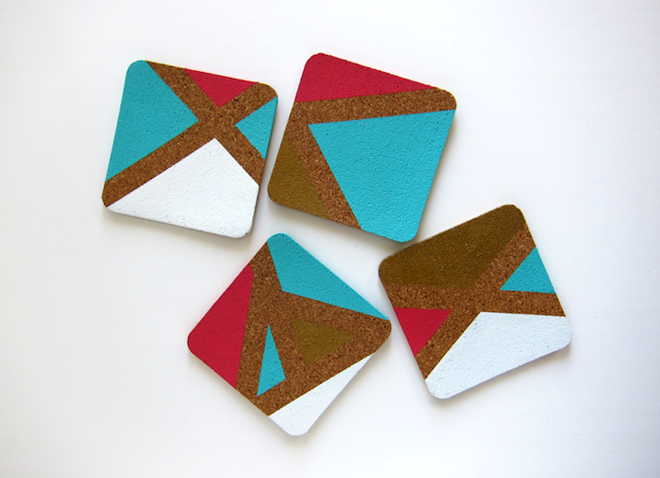 They were just begging for a DIY, so I recently shared my version of color-blocked painted cork coasters inspired by Tuts+ for The Society, a new online lifestyle magazine that speaks to the young, modern and South Asian reader. I’ve always said there needs to be a site like theirs, one dedicated to creative South Asians, so I’m honored to be a small part of their wonderful site. You can see the full post here! I sweat. I sweat a lot. I have no idea what it’s like to be one of those pretty girls at the gym who merely glows. I’m too busy adjusting the sweatband at my hairline and toweling off the sweat that is literally rolling off my face and arms. (And that is why I never enjoy and will never again do hot yoga.) 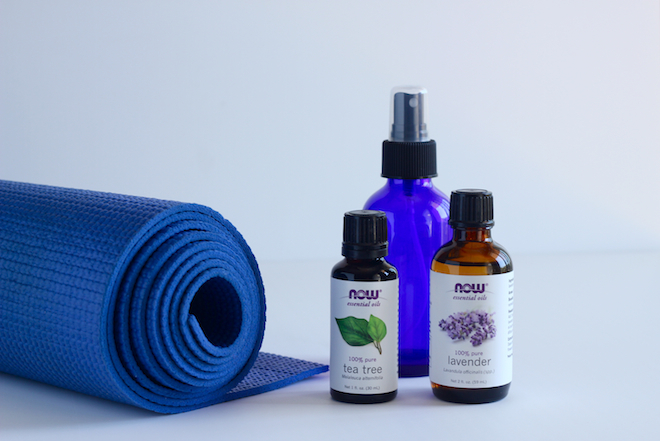 But now that I’m a regular yogi committed to three vinyasa classes a week—I love it so!—I realize that I need to take better care of my mat, which is the victim to all that salty sweat. 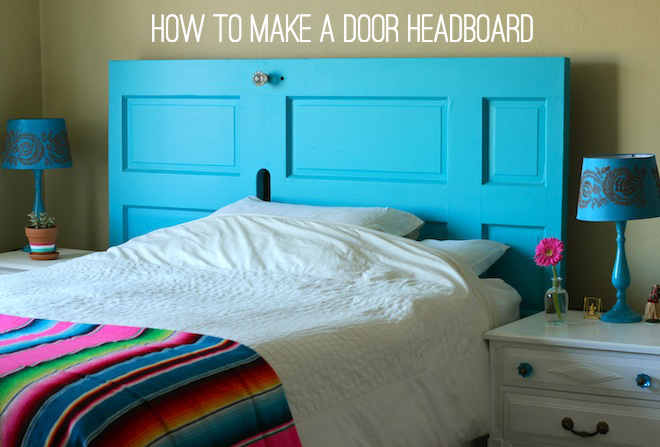 About 1,000 years ago on Instagram, I teased that Eaman and I were making a headboard out of an old door. Maybe you’ve been waiting for the big reveal or perhaps you totally forgot about it (how could you?! ), but now I can finally share the end result! The blue beauty now lives in our bedroom, and while I don’t think a headboard is all that necessary, I like that we made one so cheaply. We spread out the project over a few weeks — starting with the cleaning, sanding and sawing outside in our complex’s parking lot and ending with painting and installing in our bedroom. As expected, Eaman handled the more mechanical work, like sawing and drilling, while I oversaw the painting. 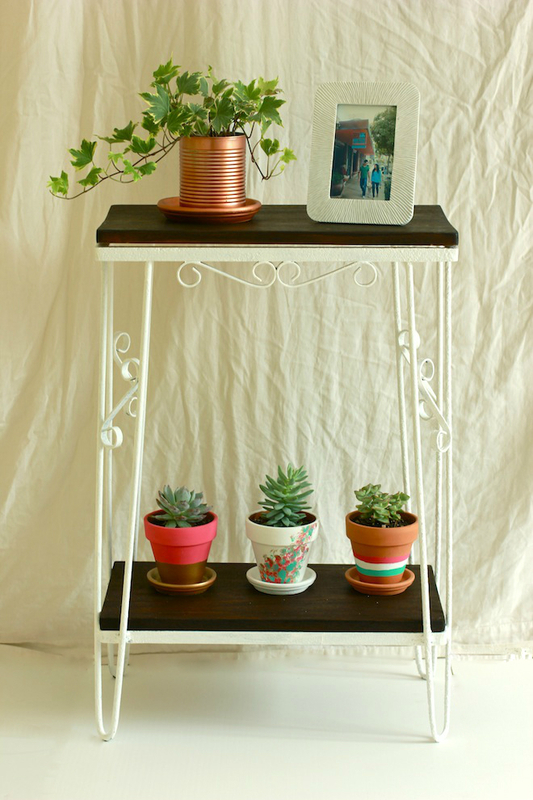 Through the whole process, all I could think was: How do DIY bloggers do this? Work on a project, photograph the steps beautifully and look flawless throughout? I was a hot mess. But I digress. I dig the final look, and even better, I love that we used our creativity — and took a much-needed break from our computer screens — to make something out of virtually nothing. Ah, dumpster diving. I love it so. Remember that simple, sort of blasé two-tier shelf I had Instragammed in April? Well, I finally got around to giving it some TLC, and here’s the end result! Thanks to everyone who chimed in with ideas. In the end I went with a white metal frame—à la Maggie‘s suggestion—and dark wood shelving because there is something so crisp and modern about a rich brown against a white frame. I’ve been wanting to add some green into my life, but after killing my tomato and basil plants—both of which are considered “starter plants”—I thought I should dial it way back to botany 101. Enter: the succulent. Thanks to their desert-friendly personality, the succulent is a hands-off plant. Forget to water them? Not a problem! That sounded like a good fit for my black thumb. Succulents come in a variety of shapes and sizes, but I was more excited about the pot they’d call home. I started with a classic terracotta base, and for each pot I chose three different designs, working with a color palette of pink, gold, white, and turquoise. I wanted the designs to look very distinct but like they were part of a family. The colors were bright (just the way I like them) and would go well with our teal and white-themed bedroom. First things first: I’d be thrilled, honored, appreciative, and oh-so-glad if you take 1 minute (even less!) to fill out this easy six-question survey about My SoCal’d Life. I’m a new and growing site, and want to make sure I’m writing, covering, and sharing to the best of my ability. Thanks in advance! OK, back to the post. Our apartment has turned into a bit of a DIY factory this past month. It all started with an abandoned door we found next to a dumpster by our apartment that we decided to turn into a headboard. That was a long, laborious, but ultimately rewarding DIY that I’ll share soon, but that whole process motivated me to finally attack some lingering—and much easier—projects on my list. The truth is, I can be quite lazy. And though I do Pin a lot of crafts and love the idea of making something myself, I often don’t have the patience or gentle touch. But once I got started with one, I got DIY fever. 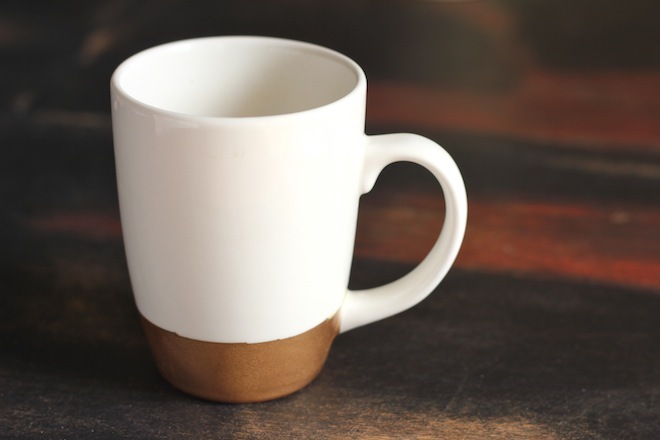 The gold mug above is maybe the simplest DIY on this planet. 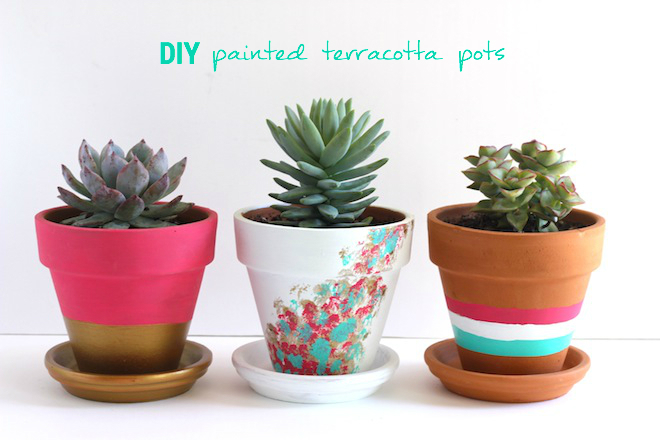 Make a pattern with tape, spray paint with choice of color, and coat with ceramic sealer. But because I am so lazy and it took me months to go to Michael’s and get that dang ceramic spray, I only just finished it. But I love the end result! It’s easily my favorite mug for morning coffee.